Well, it’s disclaimer time again, folks. 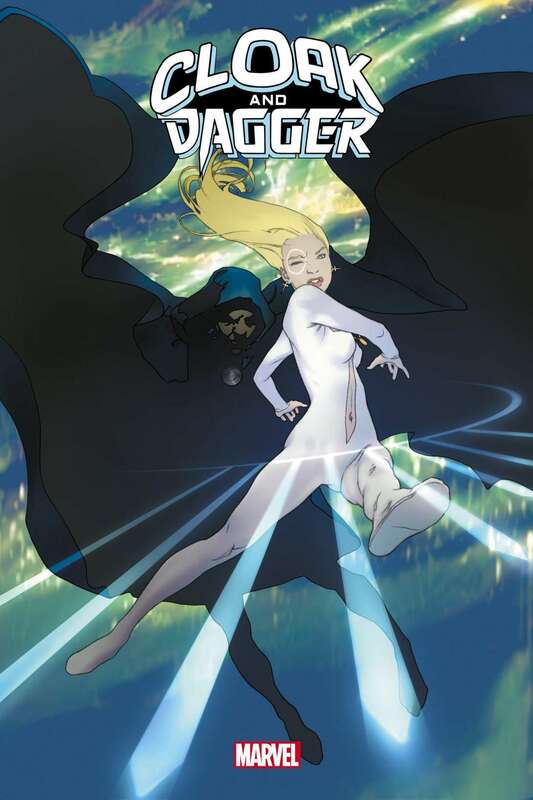 Before I even start this review, I have to admit that I don’t think I’ve ever picked up a Cloak and Dagger comic before, or even really read any of their cameos in other books. Sure, I know their basic premise, and fully acknowledge how cool they look in pin-ups and cover splashes, but in terms of the characters themselves, I really don’t know much about them. Thankfully then, and in what is presumably an attempt to rope in newcomers like myself following the launch of the live-action TV show, Marvel have released “Runaways and Reversals”, a chunky collection of Cloak and Dagger goodness. Featuring some of their cameo appearances from Runaways, Spider-Man and Dark X-Men over the course of these 360-odd pages, this collection links together several of their previous stories without the need to go trawling through back issues. It’s fair to say that the quality of artwork and writing fluctuates considerably throughout the course of the collection, which should be considered par for the course in collections like these which feature so many different creative teams, but when you put it all together, this is actually a pretty damn enjoyable read. It’s easy to get a good grasp on the characters themselves and their motivations and traits,and some of the stories are genuinely entertaining – the Nick Spencer/Emma Rios “Spider-Island” miniseries being a personal highlight. That said, while the titular heroes definitely look and sound the part, it’s perhaps a little unfortunate that a significant chunk of the collection seems to feature Cloak and Dagger as peripheral characters instead of having them standing in the spotlight themselves. We see them helping vulnerable children, assisting the Runaways in their quest to bring down The Pride (their evil parents), crossing paths with Spider-Man, and all manner of other bits and pieces – but there doesn’t seem to be a lot of straight-up Cloak and Dagger stories here, which is slightly disappointing for a first-timer like me. At the end of the day, if you’re already a fan of the title characters then this should be considered a pretty much essential purchase, as it manages to bring together a lot of their cameo appearances from other books into one comprehensive, enjoyable volume. And, if like me they’ve never really appealed to you before, then this should at least give you enough of an introduction to Tyrone and Tandy (such good names) to decide whether they’re characters you want to read more of. Which, in my case, is exactly what I’m planning on doing. Heck, I might even check out the TV show while I’m at it.